Never buy the wrong shade again. I don't wear much makeup unless I'm going out to a party, show, or some other social event. But I always wear something on my lips, whether it's gloss, lip balm or lipstick. I actually do feel kind of naked if I'm not wearing lipstick. Lipstick immediately boosts my mood and makes me feel better. I don't know why a small tube of color has such power but it does. Now, choosing the right lipstick can take a surprising amount of time and energy, and after all that expenditure of energy, you still have no guarantee that you got the right shade. Why is that I can spend a long time trying different lipsticks at the makeup counter at a department store or Sephora, purchase it, take it home convinced that I've found the perfect shade and finish for my complexion, only to find that when I put it on before an important social event, it's definitely not the right color for me? Then there are those times when I do a guestimate that the shade I'm seeing online will be perfect for me, but when that arrives, it looks nothing like the color advertised. It shouldn't be that difficult to find a lipstick color that works without having to spend a ton of money in the process. Since there's a Tinder for beards and female friendships, of course there's one for lipsticks. 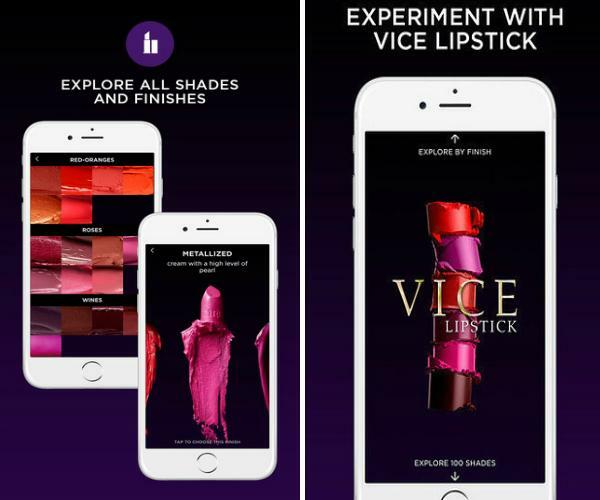 The Vice Lipstick app for iPhone lets you try all 100 shades of Urban Decay's Vice line of lipsticks for free. 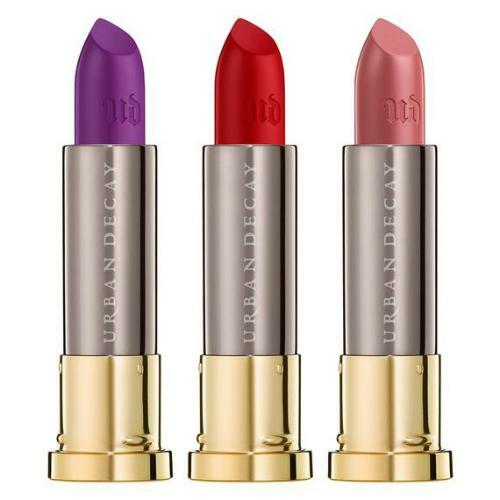 The Vice lipsticks are deeply pigmented, blendable, and go on easily. Since they're a butter blend they comfort, hydrate, and enhance the wearer's lips. 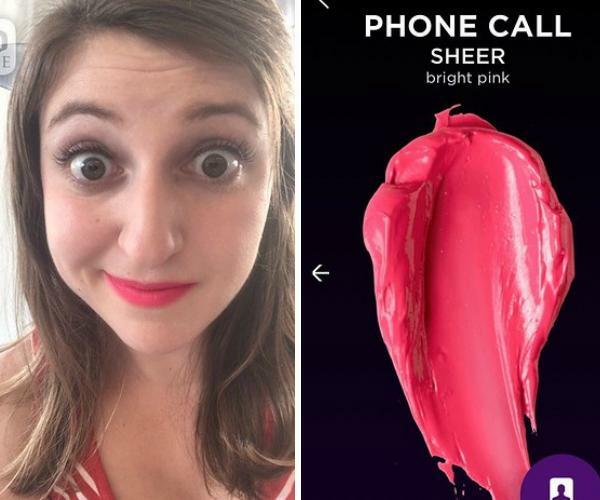 In an article on BuzzFeed, writer Julia Reinstein demonstrated how to use the Vice Lipstick app. You just take a selfie and start experimenting with lipstick colors. Does the shade of lipstick go with your skin tone, your mood, or does it clash horribly? If it doesn't work, swipe and go on to the next one — just like you would with a potential Tinder date. Try colors you normally wouldn't consider and you might be surprised how great that shade "Nighthawk" looks on you. Is "Moshpit" a color you'd usually chose? Once you've found your perfect colors, feel free to indulge yourself as they're only $17 a tube. 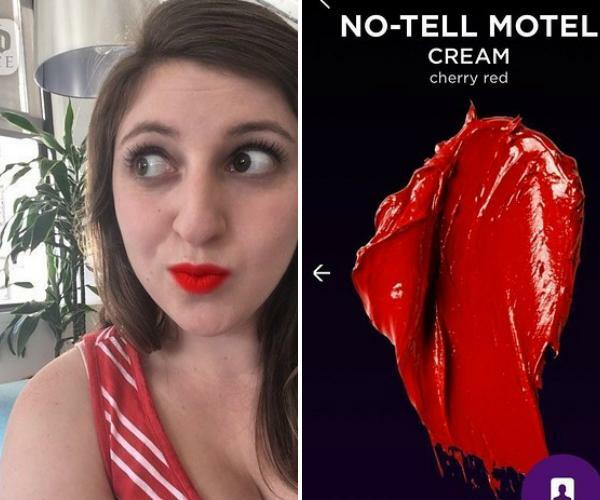 Don't worry if you find yourself giggling while you swipe — with lipstick names like "Twitch," "Walk of Shame," "Frenemy" and "Unicorn," you're sure to crack a smile. 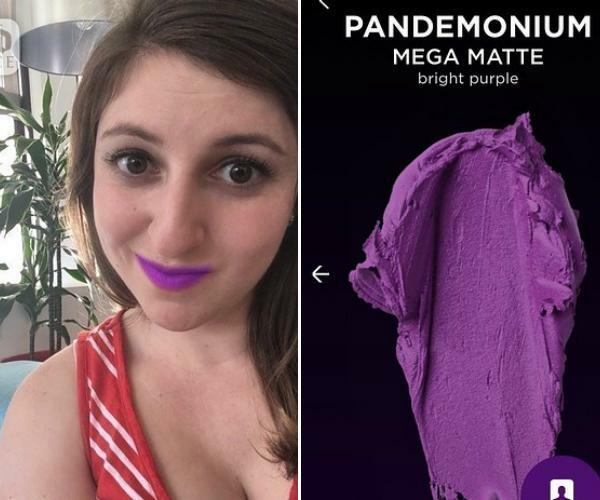 Warning: this Tinder for lipstick is so much fun you may find yourself trying on shade after shade of Vice lipstick.